He made the announcement over Instagram through a short video. Drake is finally putting a date to his upcoming project More Life, his playlist project that he has teased since first announcing it back in October 2016. 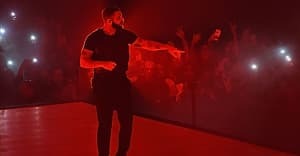 Saturday afternoon, the rapper took to Instagram to post a short cinematic trailer, which seem composed of clips from his time on his Boy Meets World tour in Europe. At the end, the words More Life and March 18 show up. March 18 is a Saturday so there's a good chance it'll drop during an episode of OVO Sound Radio. Watch the trailer above. Here's everything that we know for sure about More Life.